The friendly-fire police shooting that left an NYPD detective dead and a sergeant wounded was an anomaly amid a dramatic decrease in police-involved shootings in recent years, data shows. When NYPD Det. Brian Simonsen was killed in a barrage of friendly fire while responding to a robbery on Feb. 12, police officers had fired 42 shots in just 11 seconds. But incidents like this are increasingly an "aberration," NYPD officials say, and the vast majority of arrests take place without shots being fired. Forty-two rounds were fired by seven officers in 11 seconds as they responded to a robbery in Queens. A detective was killed by friendly fire. Rana Novini reports. In all of 2018, police fired their guns at suspects only 17 times amid the millions of 911 calls the NYPD received, according to data reviewed by the News 4 New York I-Team. NYPD officials said increased training and new shooting protocols have helped bring down the number of police-involved shootings. "We really look to slow things down and have our investigators fully assess the situation they are getting into before they breach the door," said Inspector Thomas Conforti. He said warrants for arrests and searches at a suspect’s home can at times be the most challenging situation for officers. "Voluntary compliance is our ultimate goal," Conforti said. 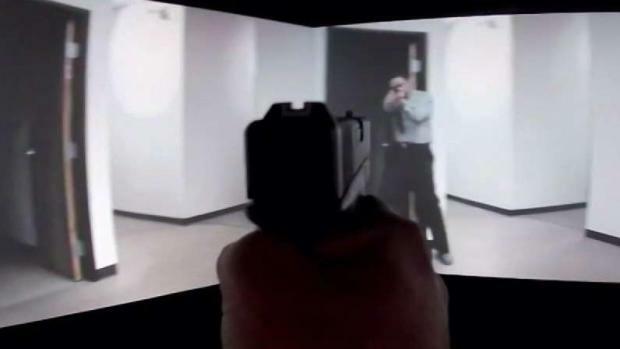 How does the NYPD train its officers to prepare for live fire confrontation? It's a question that's emerging after the friendly fire death of Det. Brian Simonsen. Ida Siegal reports. Detectives and officers training at the NYPD training facility at Rodmen's Neck are put through varying scenarios to prepare them for eventualities when responding to a crisis, the I-Team observed while given access to the facility over the past month. The number of hours of training for detectives and officers also continues to increase. "If they go into a situation well-versed with that information and well prepared, they will be more likely able to resolved that without having to escalate the situation," said Chief Matthew Pontillo. The NYPD reviews every shooting incident and passes on findings to instructors at the academy. "We address any tactical training issues almost immediately," said Pontillo. The I-Team also went along with warrant squads this month as they made early morning arrests -- in some cases, detectives were tracking violent felons. Detectives received increased training as NYPD brass said they make tough decisions, sometimes in a matter of seconds, during each raid and in responding to countless emergency calls. In 1972, there were 994 police-involved shootings at a time when policies on when police could shoot were not as stringent. In 1995, the number of police-involved shootings dropped to 345. In 2012, there were 105 police-involved shootings. In 2018, there were 35 police-involved shootings, including accidental discharges, suicides and shots fired at aggressive dogs. When counting only shootings at suspects, the number dropped to 17. "We can all say it is good that they (NYPD shootings) are down," said Rev. Al Sharpton, one of the NYPD's most outspoken critics and led protests against the department in the wake of the police shooting deaths of Amadou Diallo and Akai Gurley. "We need to match that with holding accountability to those who crossed the line. That will make it go down even more because police will know they can’t get away with crossing the line." Sharpton said the overall decrease in crime in some communities and civil rights protests have helped reform the NYPD. In 2018, a total of 107 bullets were fired by police at suspects in 17 incidents (136 shots were fired in all 35 cases where police weapons were used in 2018). 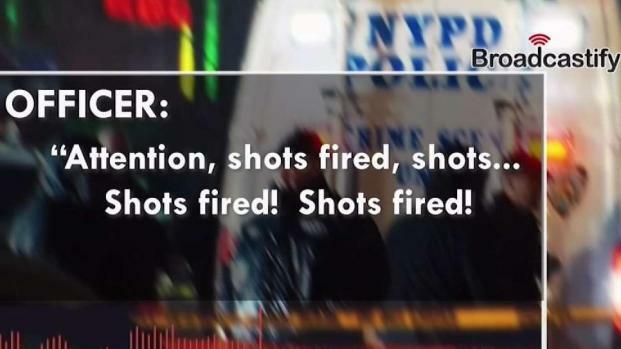 In 1995, police fired 1,728 bullets, and in 2005, 618 police shots were fired, according to NYPD records.